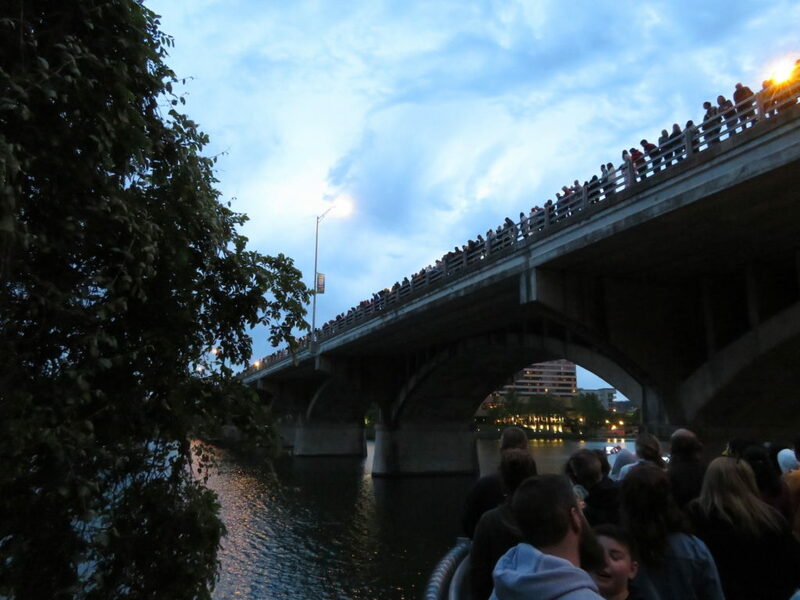 According to local lore, a million and a half bats live under the Congress Bridge in downtown Austin. Each evening from mid-March to early November they emerge in mass from under the bridge to forage for insects. Tourists and locals gather at dusk on the bridge, under it, and in boats to watch them. We joined them one Saturday and waited for the bats to emerge. 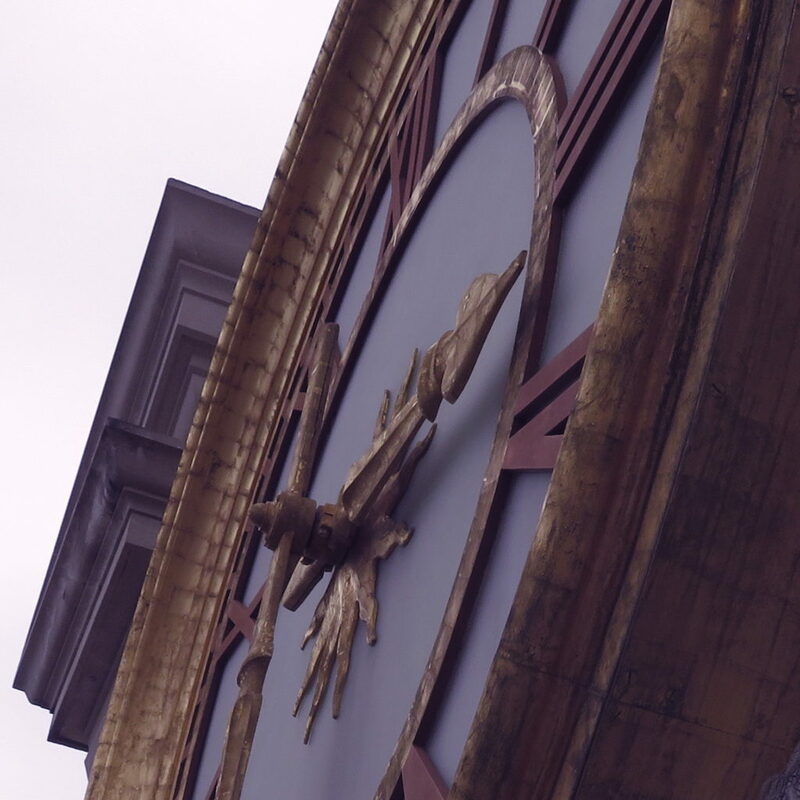 And waited and waited. During the hour we watched we saw about two dozen emerge—not the hordes that we were told to expect. A few darted over our heads and we watched while the street lights turned on and the crowd dissipated. Finally, long after the time we had been told to expect the bats to come out to forage, we also gave up. 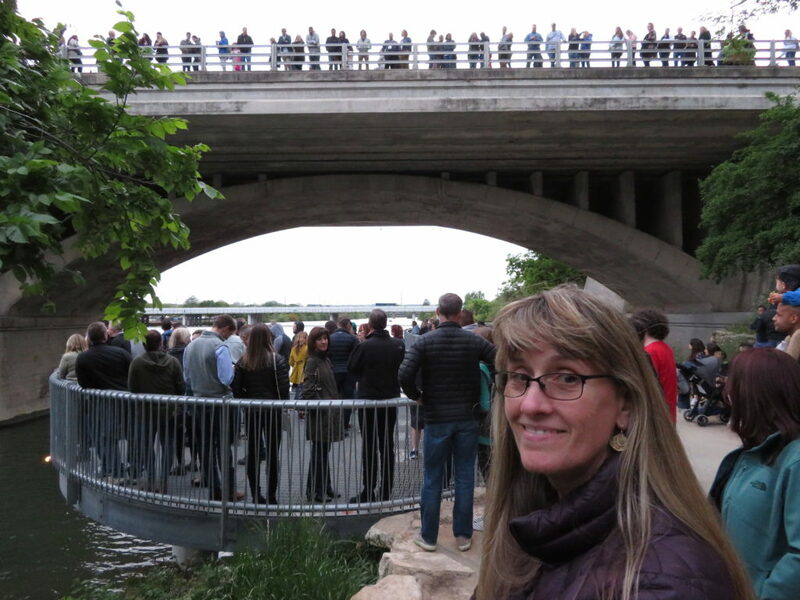 We wondered if our timing was just bad, the bats had taken Saturday night off, or we had been part of a great Austin Snipe Hunt—an elaborate practical joke by the citizens of Austin. You can find pictures and video of the bats online—but is it real, or photo shop. If you happen to be in Austin please check it out. Maybe you’ll have better luck. Or maybe you’ll just be another snipe—or—in this case, bat, hunter. Info on the Congress Street Bats, including pictures, here. The LBJ Presidential Library is located on the grounds of the University of Texas. It’s good for about a two hour visit. 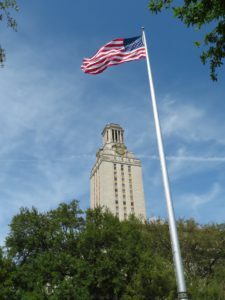 Reservations are required for the University of Texas Tower tour. 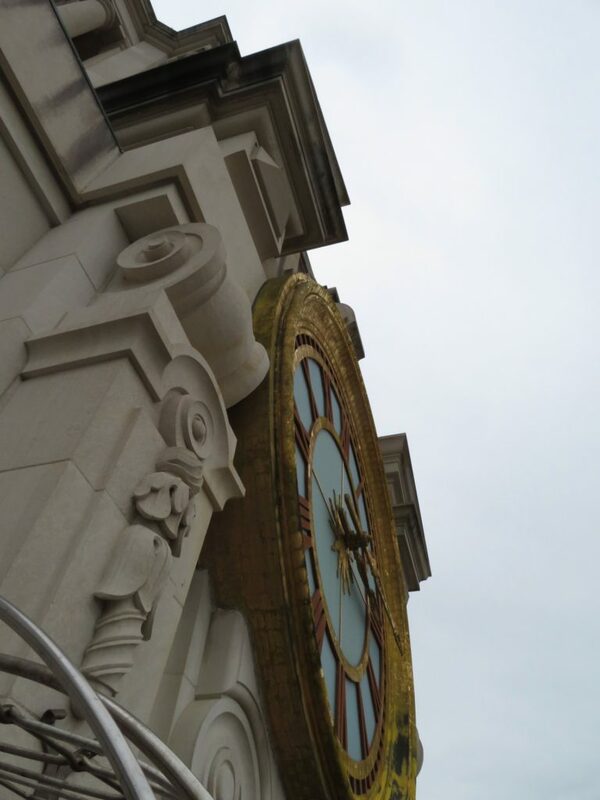 Because the tower is an active office building and there are security precautions in effect, times are limited. Available tour times and reservation info here. *Not sure what a snipe hunt is? Ask around. You’ll probably find someone who will take you on one. When I was a kid back in Ohio, my Dad would have us go on snipe hunts. One sister would hold an opened paper bag on the ground, one would hold a flashlight at the opening, and my other sister would be a couple feet away making noise. This would supposedly scare the snipes into the bag. Joke was on us, we would do this for a while, before we realized it was just a scam. But we were kids and gullible. Just fun growing up……. On my snipe hunt, I was sure I saw a profile in the twilight. 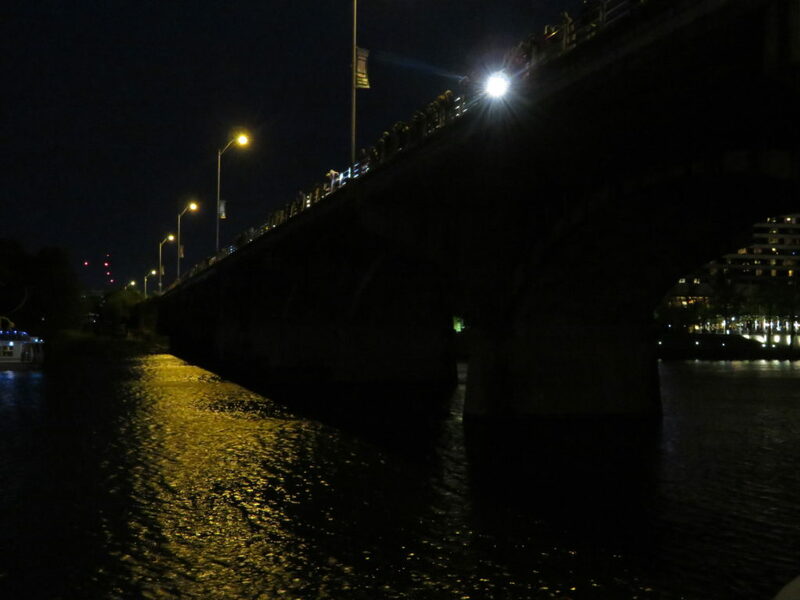 I have a really nice photograph of Dave on the Congress Ave bridge waiting to see the bats! I’m so glad we waited for two hours for just the right shot of Dave on the Congress Ave bridge. Send me a copy of the picture and I’ll post it…assuming you’re not part of the Austin Snipe Hunt cabal and it’s photoshopped! At boy scout camp near New Braunfels, south of Austin, I showed up past sundown with my pillow case vigorously wriggling. Curiosity to see my ‘snipe’ abounded, but nerve to peek inside leaked away. a sumptuous dinner for a con well done.